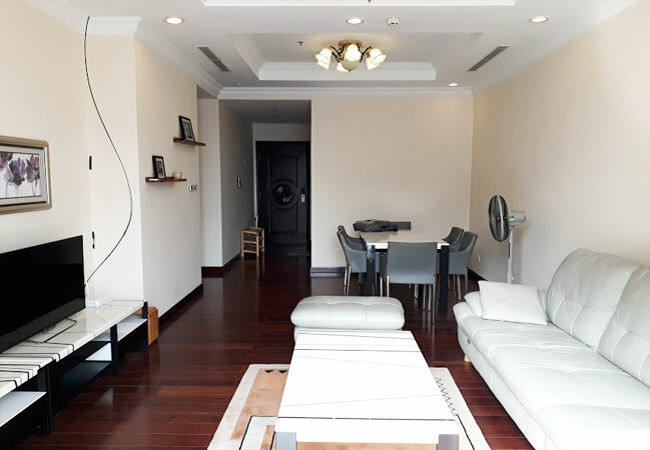 Royal City Hanoi Apartment Complex which offer a thousand stylish and functional furnished and unfurnished apartments range from 2-4 bedrooms and luxury Penthouse with garden, modern amenities, schools, shopping malls green and modern features. It is great located at 72A-74 Nguyen Trai Road, Thanh Xuan District, Hanoi, a sought-after site at the Southwest end of Hanoi, covering a total land area of 120,945m2, Royal City is a great urban complex of intelligent connections between functional and public facilities, and is designed to eco-architecture standards with a large green coverage of about 70,000m2, providing a clean, natural and tranquil ambience right in the heart of the city. Royal City offer thousands European style residences, luxury apartments for rent with balconies, bright & airy, fully functional facilities & Services, modern and safe equipments and furniture. Beautiful interior, furnished 3 bedroom apartment for rent in Royal city Hanoi, This apartment on a high floor, in R4B apartment complex thus it has more light and air, the most beautiful and expensive building in the Royal City complex, with modern amenities, Carlifornia fitness, in-door and out-door swimming pool. 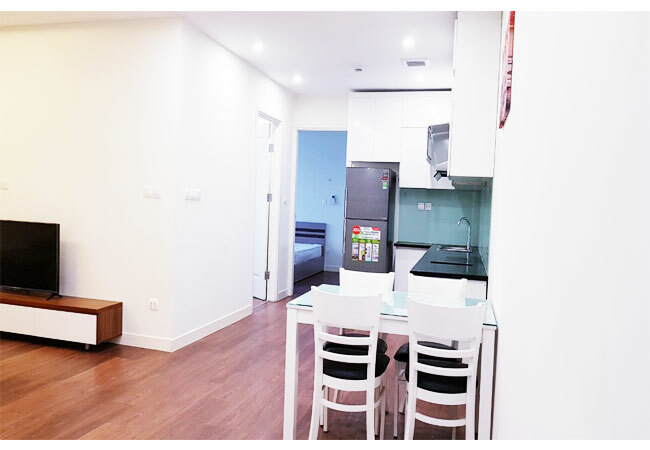 The size of this apartment is 109 sq m, composed of a large and open living room, closed kitchen with modern equipment (built-in oven, side by side fridge, washer, water filter. 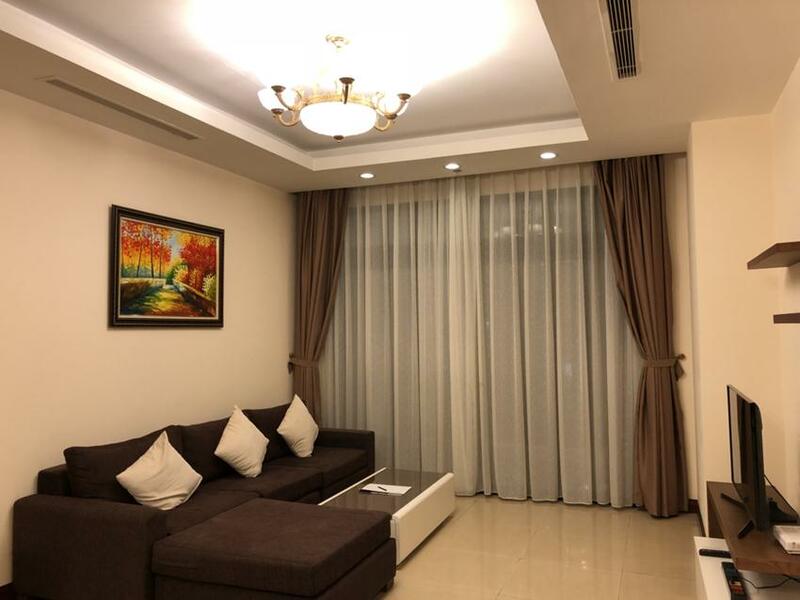 This apartment is great located on high floor Royal City Hanoi, has 150 m2 living area with elegant interior design and luxury furnished, very well equipped, comprised of a spacious lounge area with nice sofa, well equipped kitchen, 3 bedrooms plus 2 bath rooms with bathtub and shower as well. 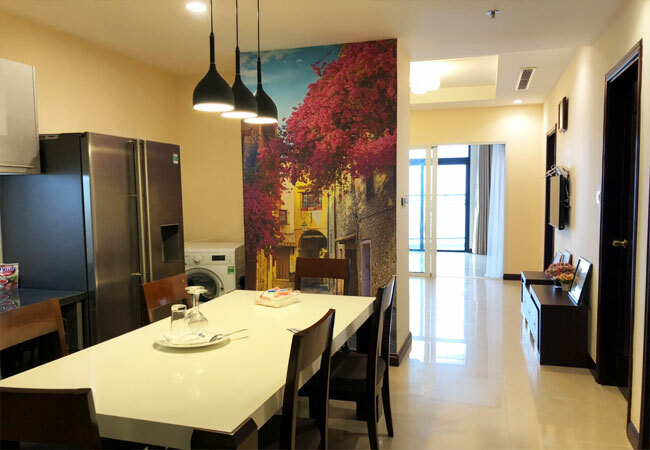 This new apartment in Imperia Garden has total living area of 75 sqm, modernly designed with bight living room combined with kitchen and dining area, 02 bedrooms, 02 bathrooms. 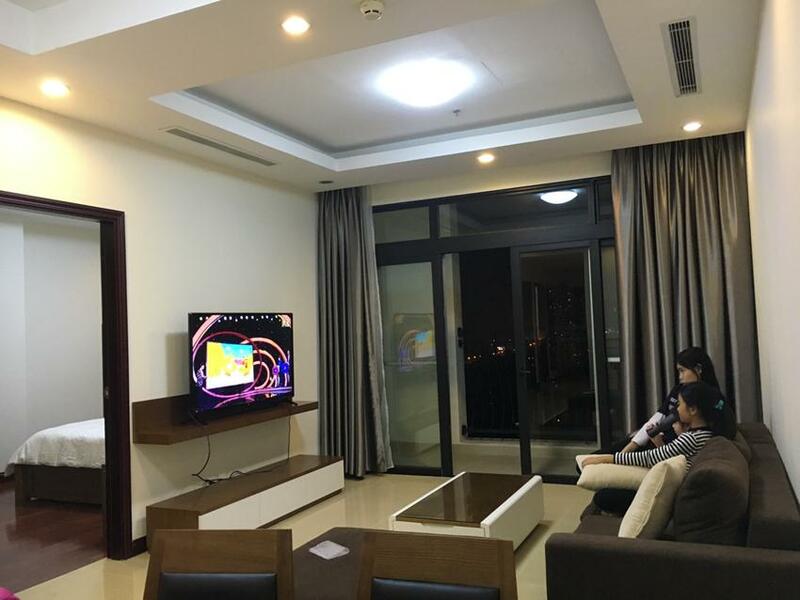 It has balcony in living room, overlooks the view of Hanoi city. 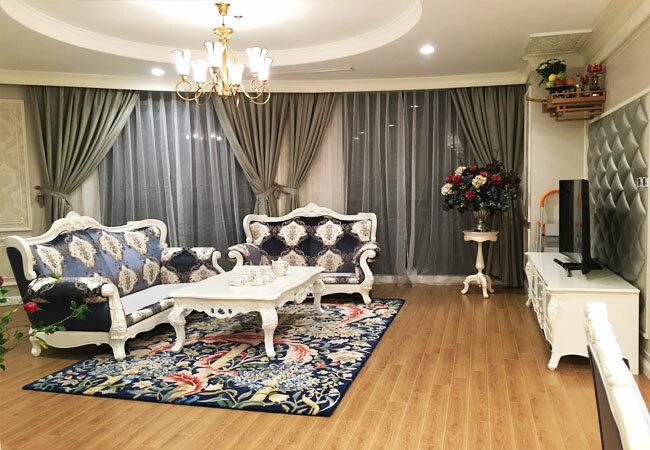 The apartment is fully furnished, covered with wooden floor, arranged as international standard, specialized for foreigner. 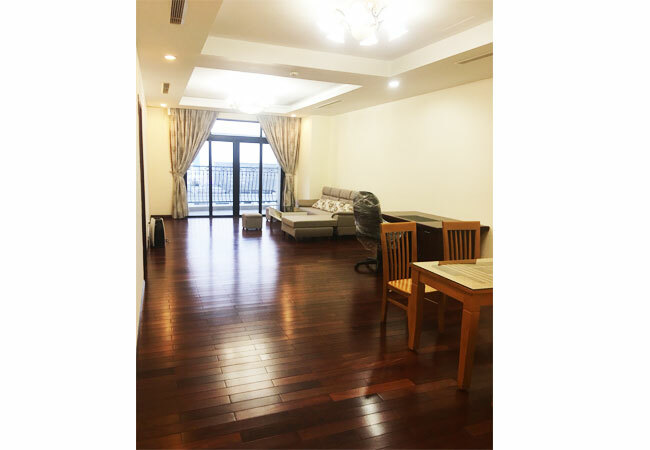 The 2 bedroom is located in high floor of R5 building, Royal City. The total area is 107sq m, 02 bedrooms and 02 bathrooms. The apartment is furnished and ready for you to move in and stay in long term. The building has indoor and outdoor swimming pool, 24/24 security, reception and the Asia biggest underground shopping center. 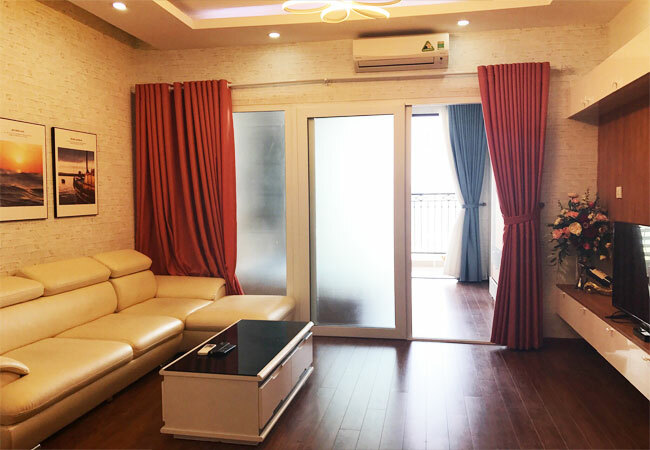 Nice apartment for rent in R6 Building Royal City, Thanh Xuan, Hanoi, the location is very quiet, easy to access to the main street, closed to shopping center, entertainment center, gyms, swimming pool... With the size of 54 sq m, the apartment has separate 01 bedroom, 01 bathroom with bath tub, a living room with sofa set and a TV, a kitchen with fully appliances. 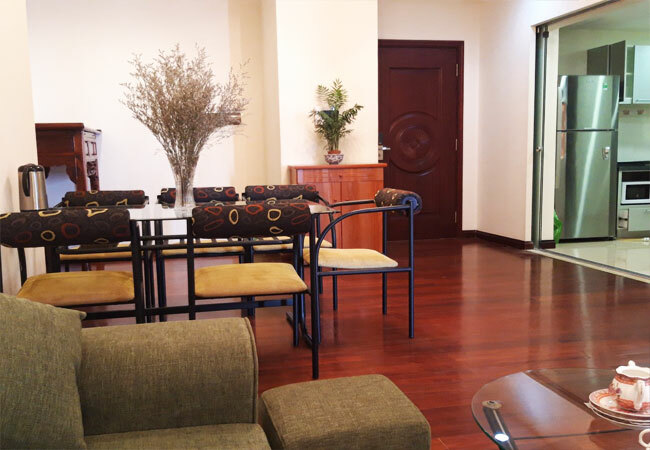 Furnished, 02 bedrooms apartment for rent in Royal City, Thanh Xuan District, Hanoi. It has the size of is 120 sq m, including 02 bedrooms, 02 bathrooms, a living room, a kitchen. All the rooms is very bright an lots of nature light during the day with large glass windows, is in high floor. Please contact us now for showing! 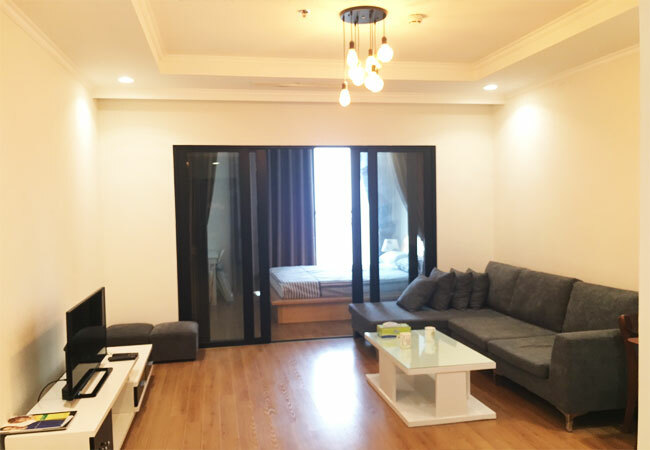 This 3 bedroom apartment is located in R4 building, Royal City, 72 Nguyen Trai, Thanh Xuan district. The total area is 137 sq m, 03 bedrooms and 02 bathrooms with bathtub. The apartment is fully furnished with modern style. The building has indoor and outdoor swimming pool, playground for kids, underground shopping center.